was a big hit with campers. It’s the biggest show in NYS! Thanks for coming! 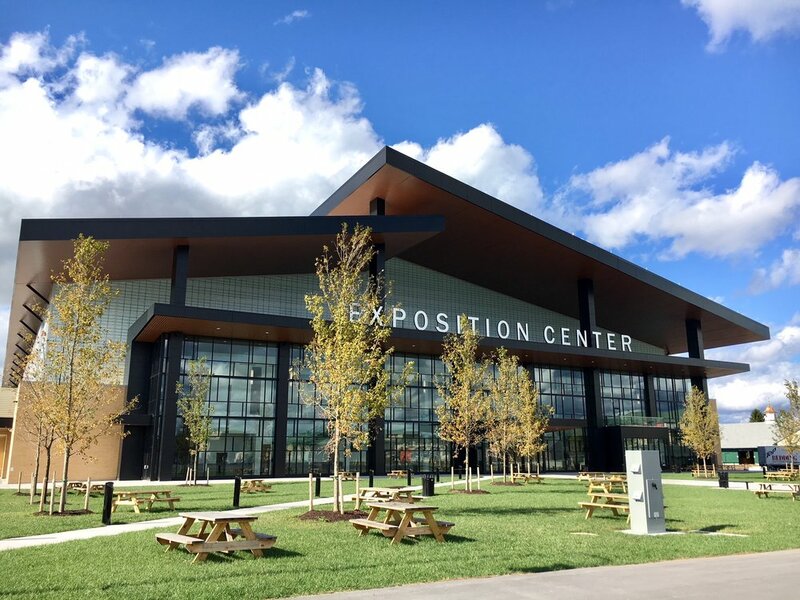 It was a super show 9 RV Dealers…Campgrounds, RV Suppliers and other exhibits in 5 huge buildings! 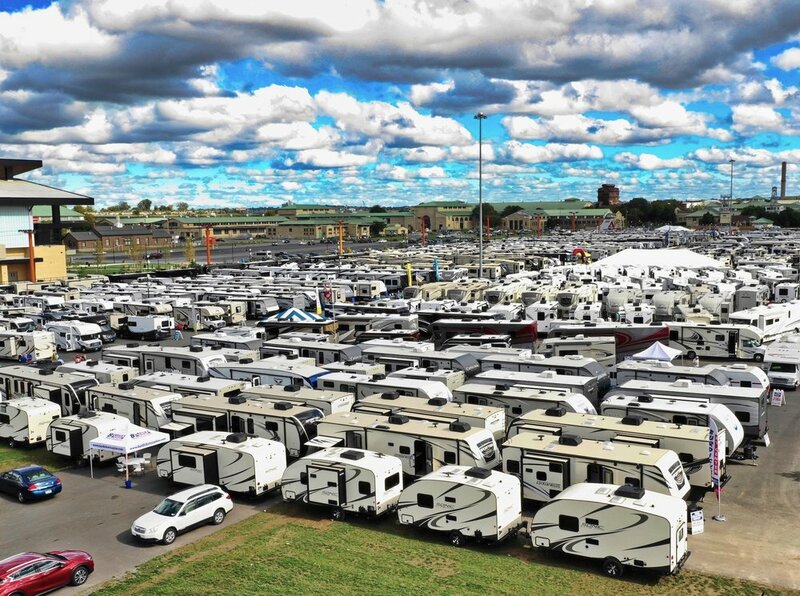 There were over 600 models of RVs and campers. Fold Downs, Travel Trailers, Hybrid Travel Trailers, Fifth Wheels, Motorhomes, Park Models, Truck Campers and more. Plus campground information, RV and camping supplies, and on the spot financing! Sponsored by the RV Dealers Association of Syracuse and Campground Owners of New York. FEB. 28 - MARCH 3, 2019 - Thanks for coming! 5 BUILDINGS, including the NYS EXPOSITION CENTER, Center of Progress Bldg., Horticultural Bldg., Industrial Bldg., and Dairy Bldg. New 2019 and new closeouts on fold-downs, popup campers, truck campers, tent trailers, and fifth wheels, van campers, park models, and motor homes. Free parking and Free shuttle bus service. Thursday is Half Price Day. Plan your visit. Chick here for the Show Map. #I INVENTORY CLEARANCE. Perfect for bargain hunters, first time buyers, and family campers looking to trade-up. Clearance pricing on hundreds of RVs and camper models: 2019’s, Closeouts, Demo’s, and Pre-owned. Special event financing. Come once and a second day is free! Camping is a great way to see new places, play together and get back to nature. Follow us on facebook for camping tips, places to go, and news about our shows. The Campground Owners of New York bring you current information on campgrounds and adventures in New York State.